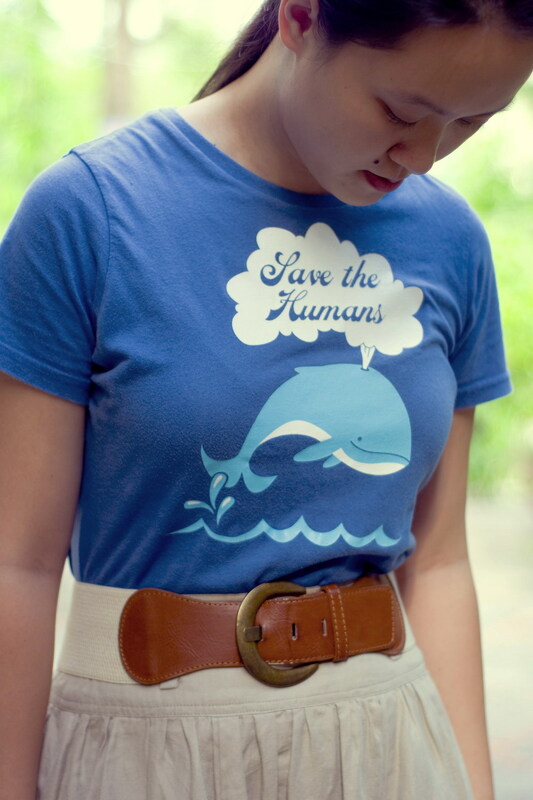 I don’t know, I think this is an adorable outfit. 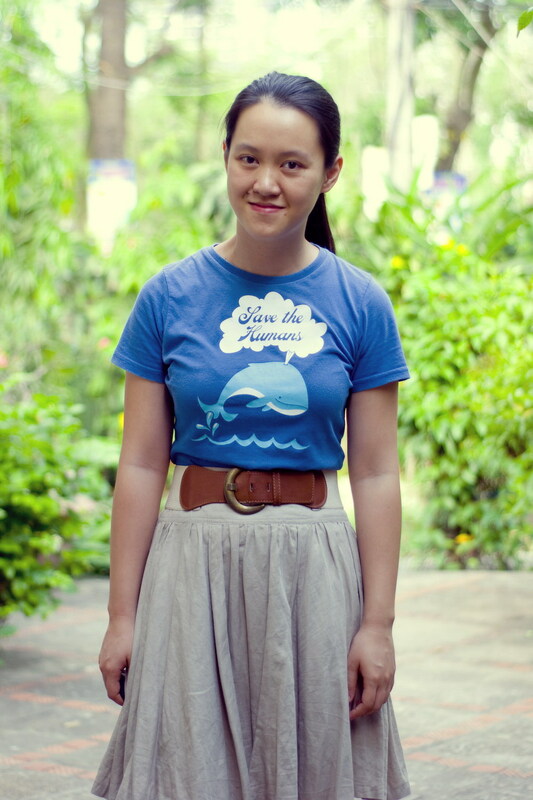 I love the graphic tee + skirt combo but rarely do it myself for some reason. I think this outfit is awesome! 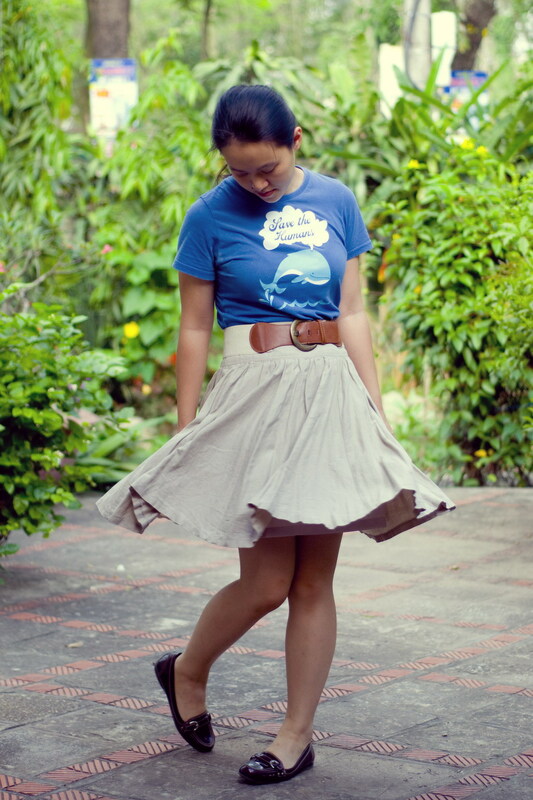 I love the mix of the graphic tee and twirly skirt. I think it goes together really well. If that’s your ‘can’t be bothered’ I’d love to see your ‘can’. You look fab. Enjoy your book. I think it’s a great outfit Salazar! It’s casual but classy at the same time. 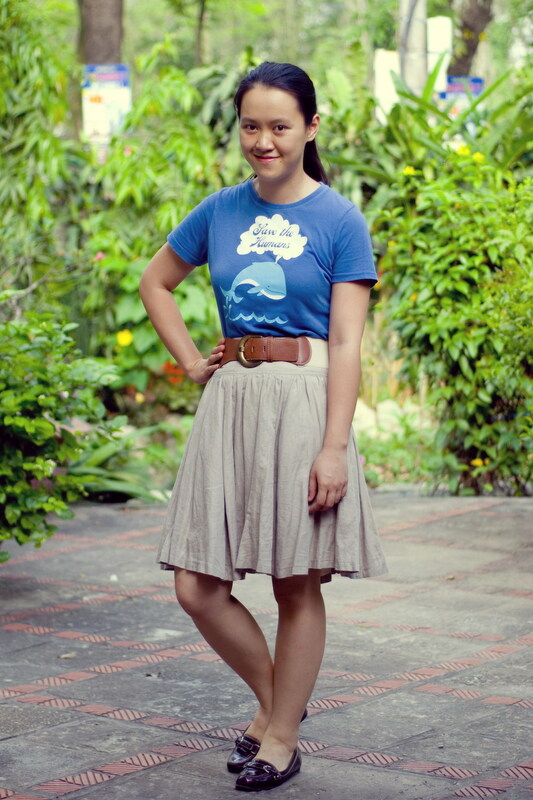 Your shoes really bring it to life; kind of like a librarian look for young people. I think it’s cool. 🙂 You rock! !